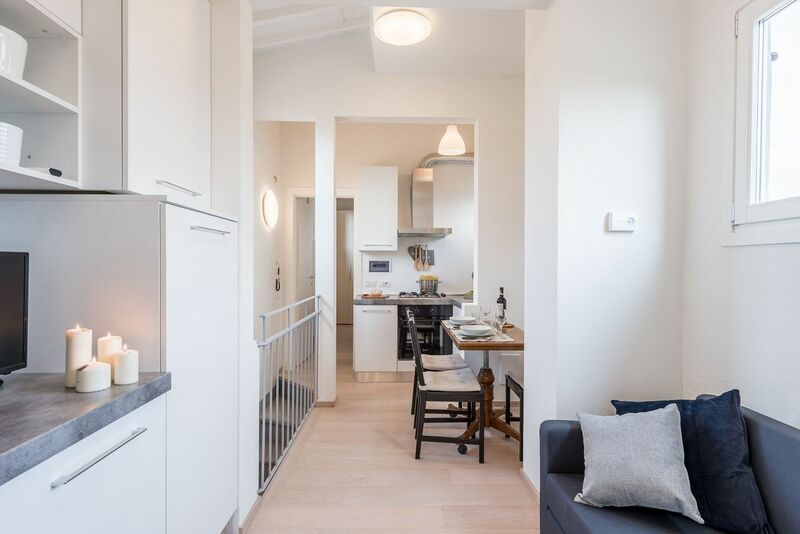 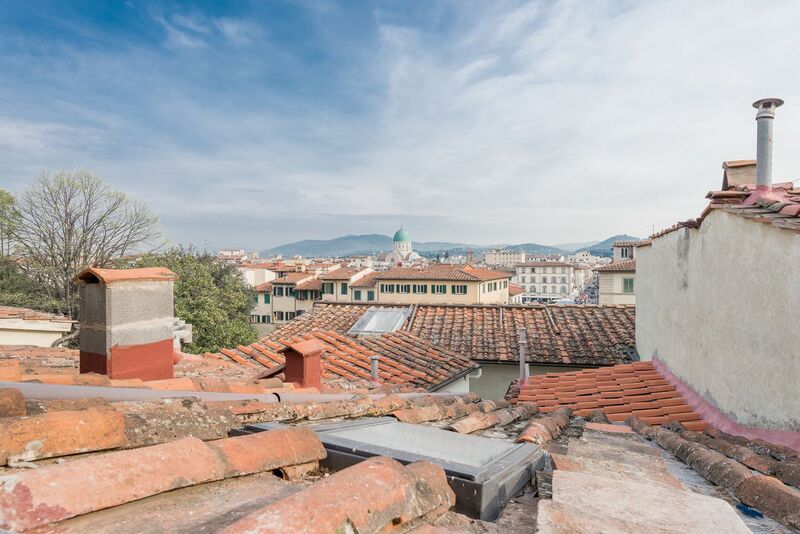 This charming roof top apartment is the ideal location to spend some time in the heart of Florence's lively Santa Croce neighborhood. 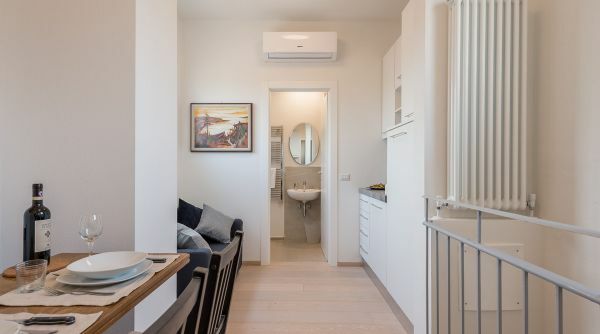 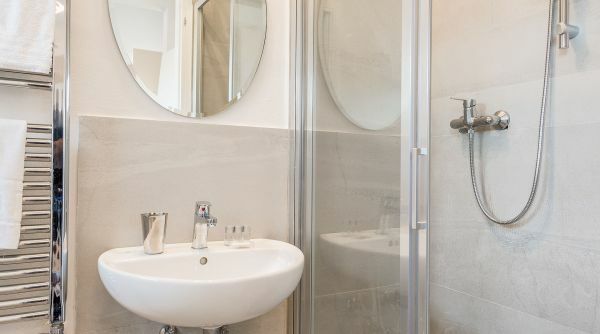 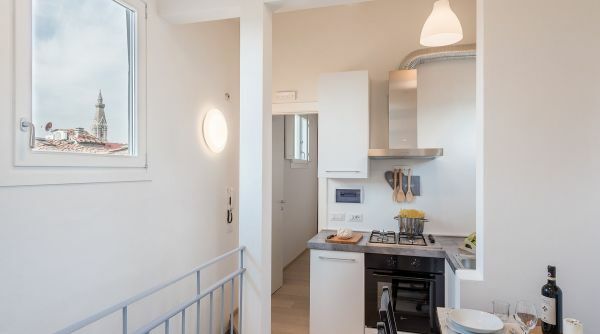 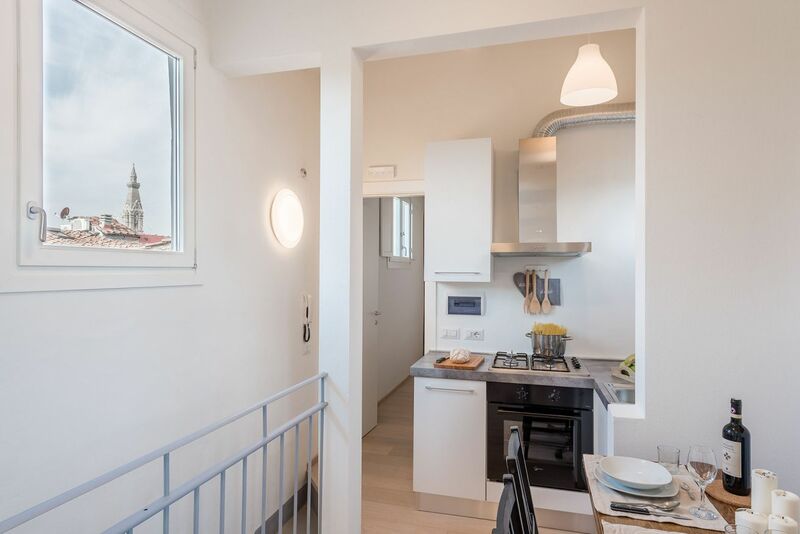 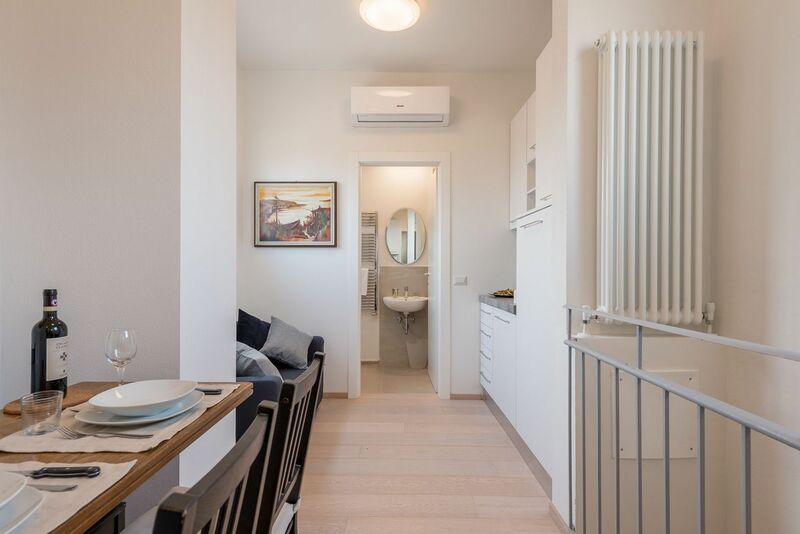 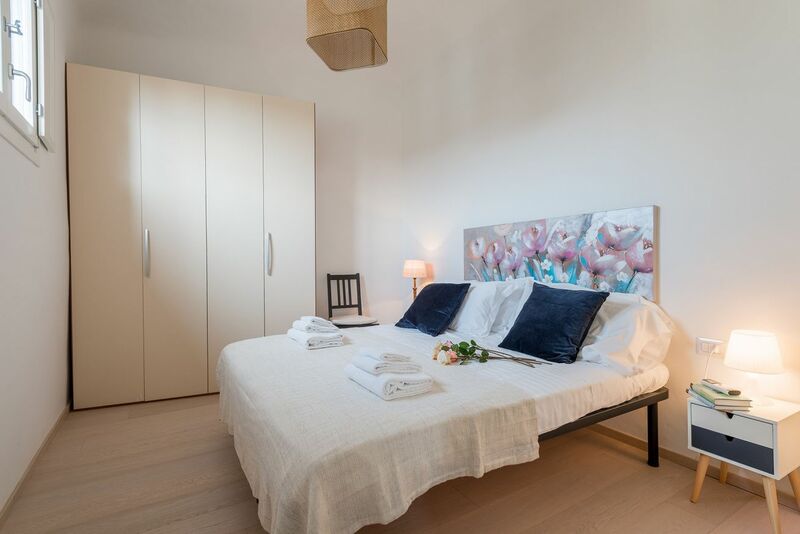 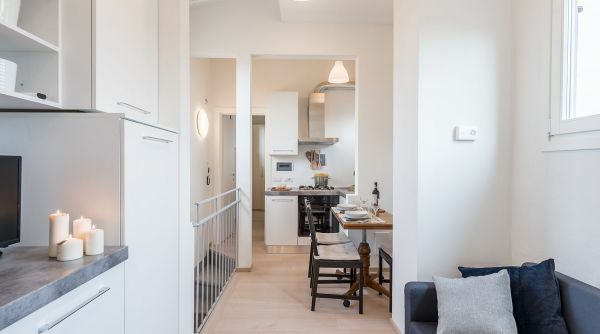 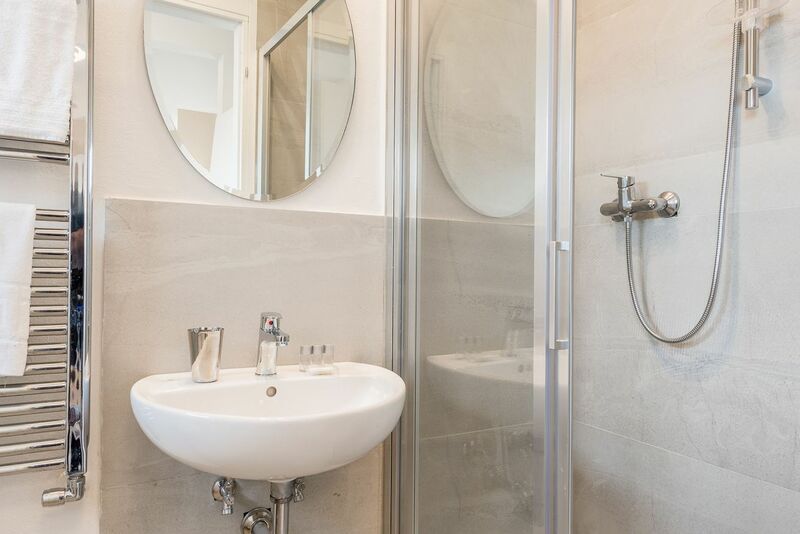 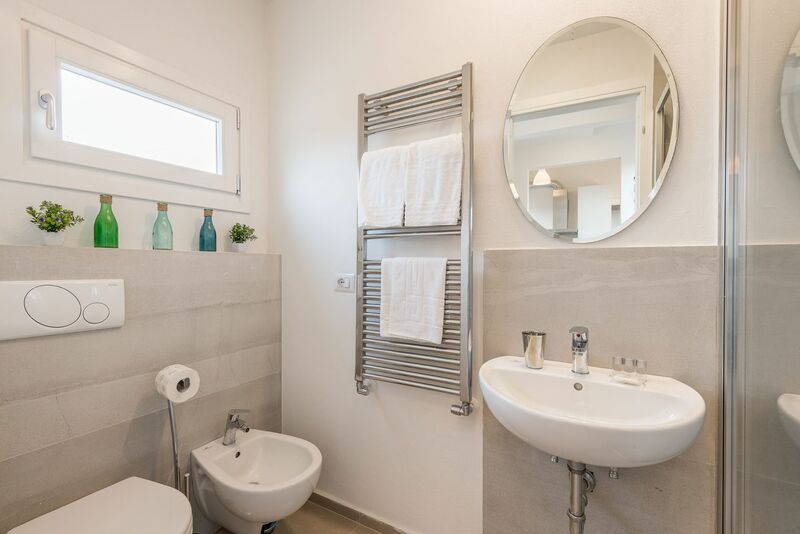 Completely renovated with modern finishes, the apartment is located on the 4th floor, without an elevator, of a historic building on one of the most important streets of the city centre, via Ghibellina. 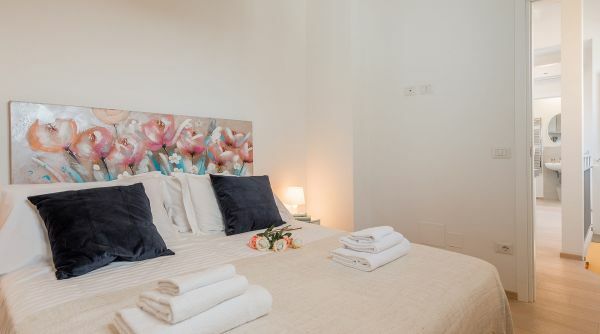 Just a short 5 minute walk to reach the square and the Cathedral of Santa Croce, and 10 or 15 minutes to reach all of the other monuments and museums of the historic centre of Florence. 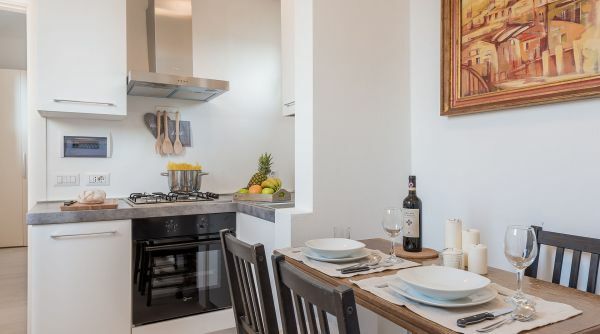 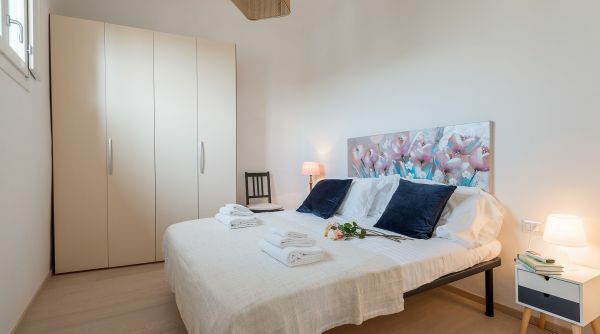 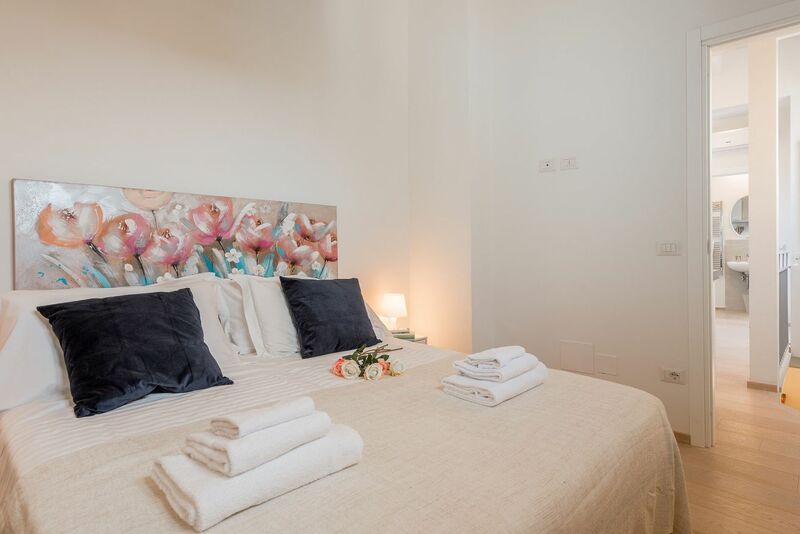 Ghibellina Bella Vista can host up to 2 guests thanks to its spacious double bedroom. 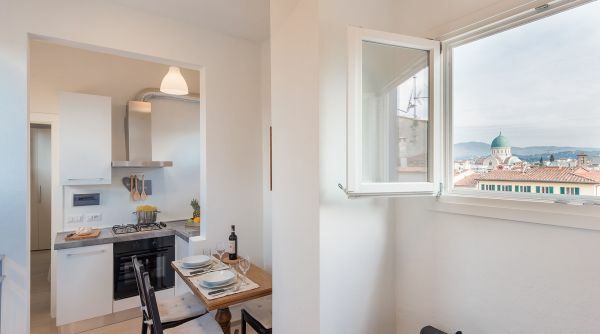 It's ideal for both short-term and long-term rentals for a couple or a small group. 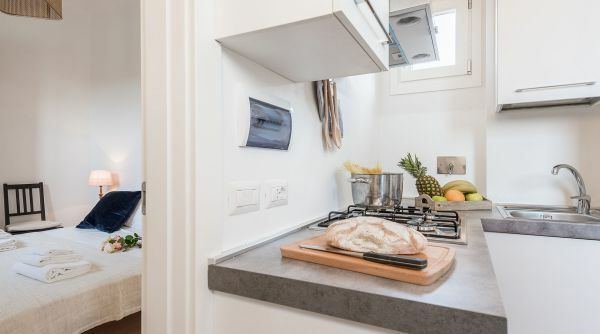 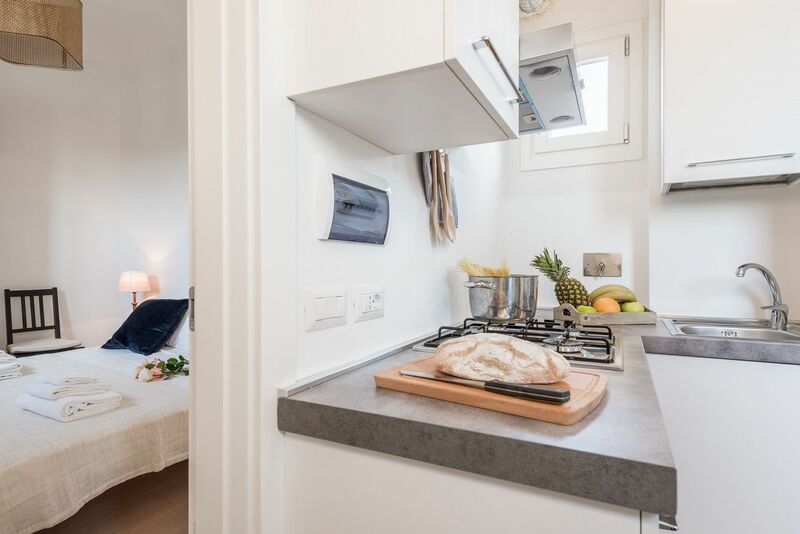 Despite its size, the kitchenette is very modern and well equipped. 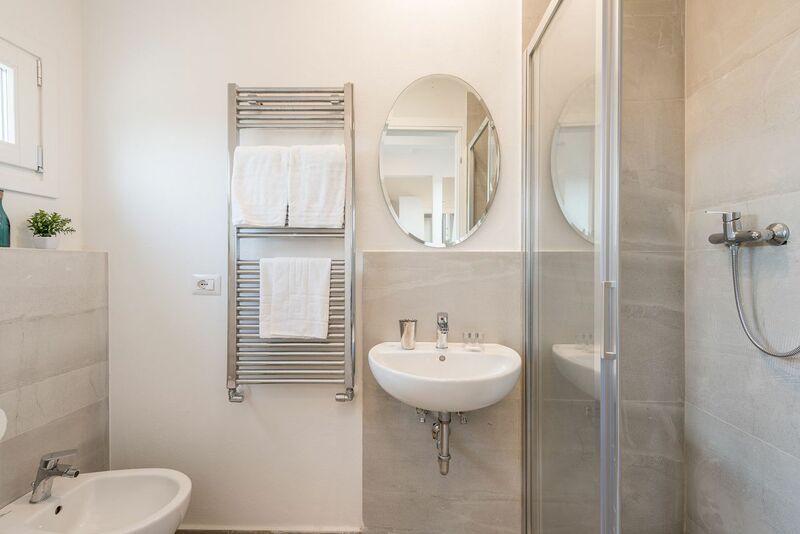 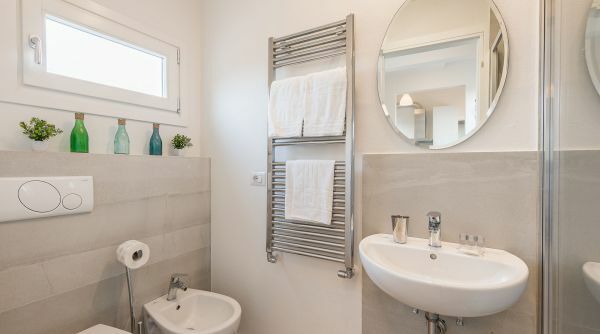 The bathroom was recently renovated and has a comfortable shower. 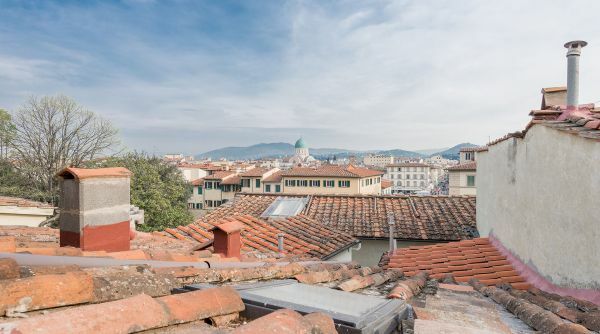 Thanks to its position, the apartment features a nice view over the characteristic terracotta rooftops of Florence, and in the distance you can see the dome of the synagogue. 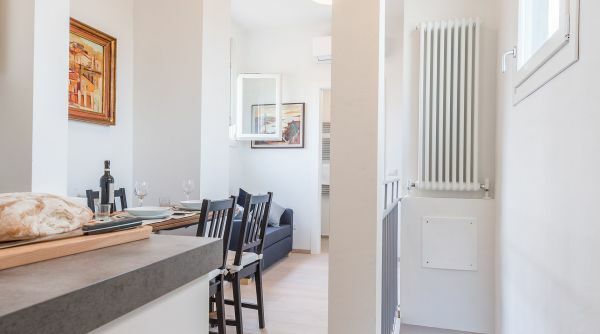 Among the many comforts of this house, you will find Wi-Fi, air conditioning and independent heating. 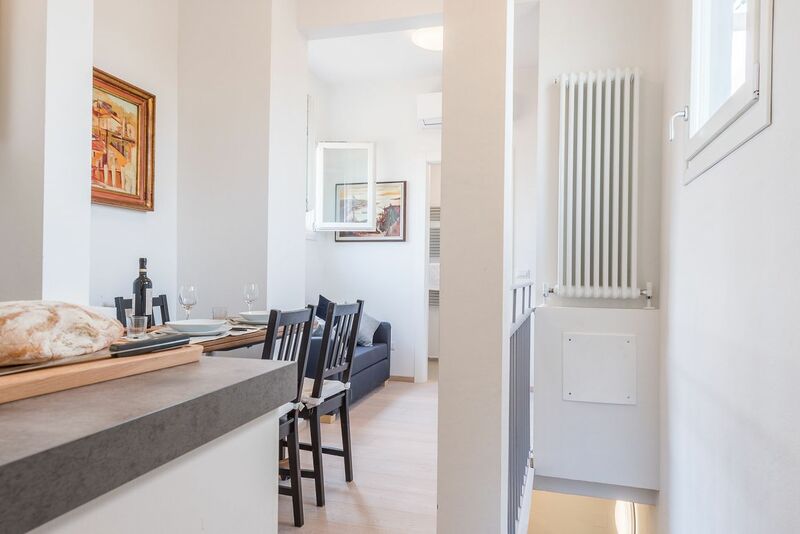 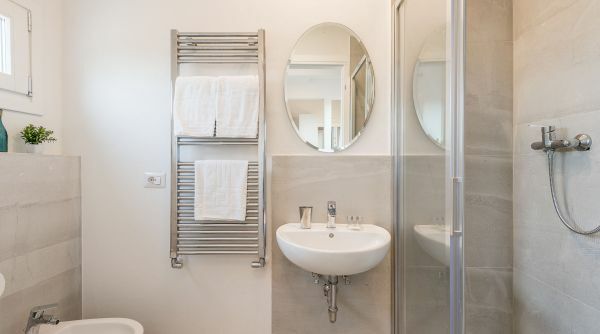 The apartment is located in via Ghibellina in the lively neighborhood of Santa Croce. 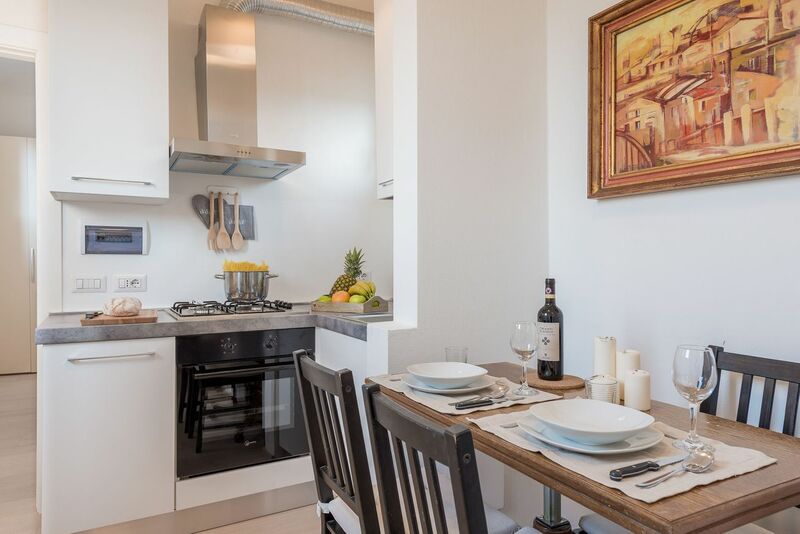 All of the major monuments and museums of the city center are easily reached by foot. 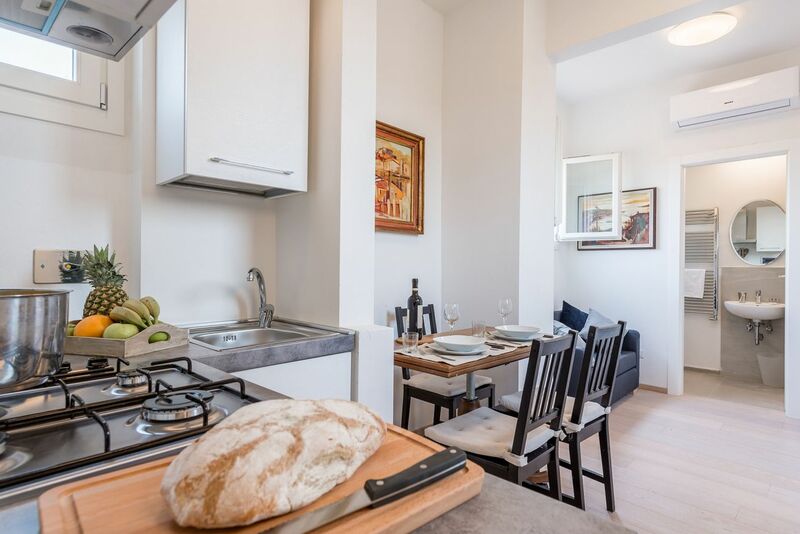 Piazza Santa Croce is only 5 minutes away by foot; Uffizi Gallery, Ponte Vecchio and the Duomo are 10-15 minutes away. 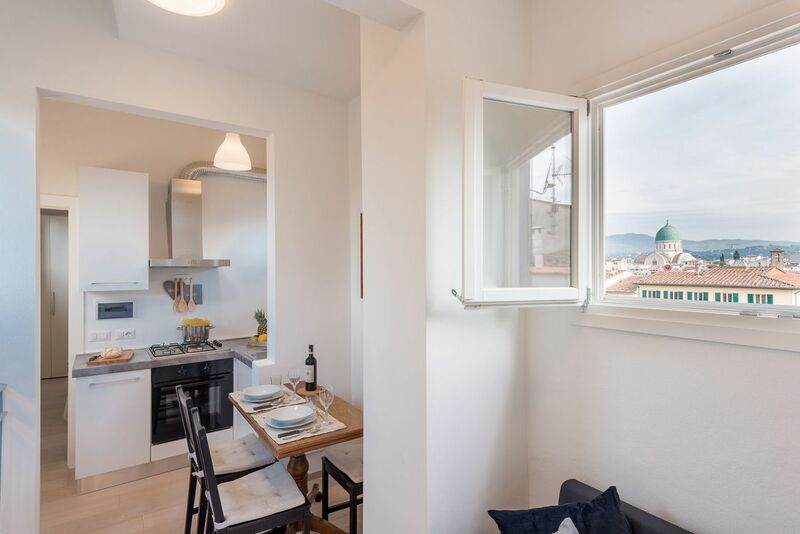 This area, in addition to the famous monuments, has much more to offer. 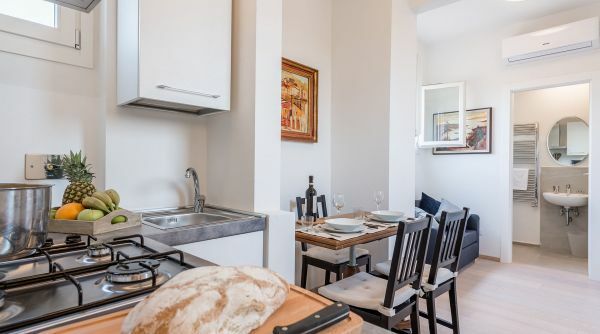 Close to the historic market of Sant'Ambrogio, the former prison of the Murate (now converted into apartments, restaurants and bars) and the Biblioteca Nazionale Centrale di Firenze.